Ride across the sky, thunder roll and lightning fly… once more! It was a very last-minute decision, but my hand was forced when Bloodstock sold out, and my best option for a summer festival was to return to Brutal Assault, where I’d previously been in 2015. 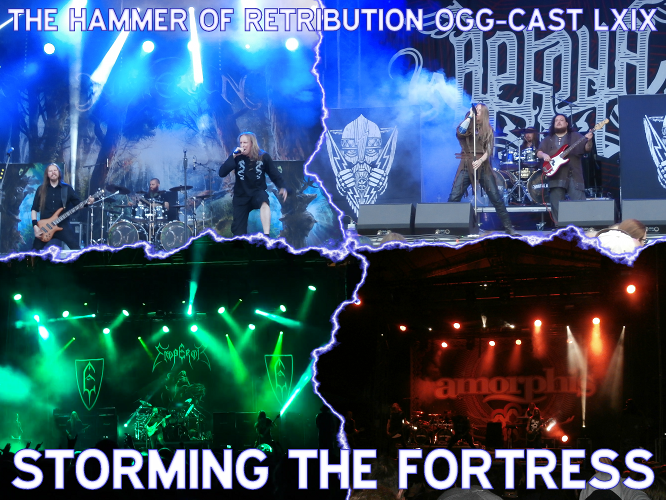 The walls of Fortress Josefov were a suitable backdrop for a titanic battle between some Norwegian and Finnish legends, with plenty of other bands chipping in as well. This Ogg-Cast is a review of Brutal Assault 2017 that includes every band I saw who didn’t screw up completely, alongside another Tunes of Yore from Lennard, and some bonus bits and pieces that provide us some extra colour. …and then came the storms. Visit the website at thorcast.co.uk.